At the center of the litigation is C.R. Bard Inc., (“Bard”) a manufacturer and marketer of medical technologies in the fields of vascular, urology, oncology, and surgical specialties. Bard marketed the Bard Recovery IVC Filter in 2003, but a couple of years later, in 2005, Bard removed the Bard Recovery IVC Filter from the market and replaced it with the new and improved Bard G2 IVC filter stating that the new filter included “enhanced fracture resistance.” However, since 2005, the Federal Food and Drug Administration (“FDA”) has received hundreds of reports that both the Bard Recovery and the Bard G2 IVC filters have fractured and failed after they have been implanted in the patient. 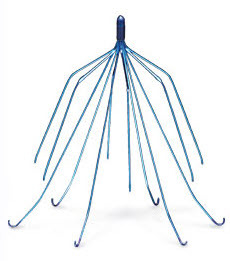 In some cases, the “legs” of the filters have broken or fractured, allowing the legs of the device to travel through the bloodstream and into other organs of the body. Other cases have found that the entire device has become dislodged and migrated intact through different parts of the patient’s body. These device failures have caused significant bodily injuries and complications to patients all across the country. In 2010, the FDA issued a warning letter to doctors, notifying them of the potential dangers associated with retrievable IVC filters and that such devices should be removed as soon as the patient is no longer at risk for a pulmonary embolism. In 2014, the FDA issued another warning stating that patients are at increased risk the longer the IVC filters remain implanted. Then, in July 2015, the FDA issued a warning letter to C.R. Bard Inc. for misbranding a device that was used to remove the Recovery IVC Filter as well as quality system violations at Bard’s Arizona and New York facilities. What is the current status of the IVC filter litigation? As a result of the FDA’s multiple warnings, lawsuits have been filed across the country alleging that faulty IVC filters have caused severe harm and even in some cases death. Class action lawsuits have been filed in California and Pennsylvania alleging that C.R. Bard, Inc. and its subsidiaries are liable for negligence, failure to warn, design and manufacturing defects, breach of implied warranty and negligent misrepresentation. In October 2014, the U.S. Judicial Panel overseeing Multidistrict Litigation consolidated lawsuits into Multidistrict Litigation No. 2570 in the Southern District of Indiana. However, additional cases are still pending in state and federal courts across the nation. If you or a loved one has received a Bard Recovery IVC Filter, or a Bard G2 IVC Filter you should have your claim evaluated by a legal professional as soon as possible. Complex litigation against large pharmaceutical companies demands specialized legal experience. If you or a loved one believe you have been harmed by a Bard IVC Filter or any other drug or medical device, contact the firm of Hollis Wright for more information. All cases are handled under a contingency fee, which means there are no fees or expenses unless we obtain a recovery for you.